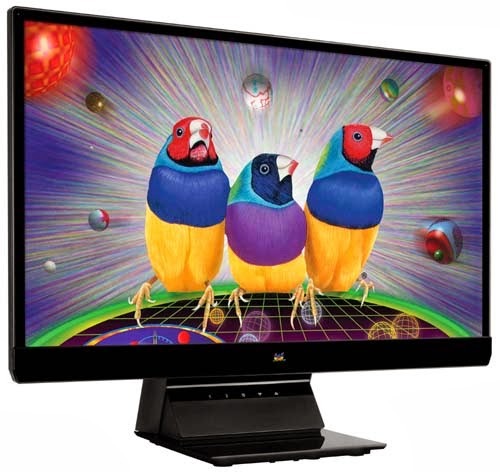 ViewSonic Corp. introduces 4 IPS monitors designed for entertainment enthusiasts, including the 23-inch VX2370S-LED / VX2370Smh-LED, and 22-inch VX2270S-LED / VX2270Smh-LED. The innovative SuperClear® Technology from ViewSonic delivers amazing, lifelike images in which true colors are beautifully replicated on the screen. Besides, ViewSonic SuperClear IPS monitors produce true colors and consistent images when viewed from the front, from the sides, from below, and from virtually any other viewing angle. No matter your perspective, you will not have any color shift or changes in contrast ratio when you move the image across the screen or change your viewing angle. The vivid images with sophisticated details bring users an ultimate visual experience for entertainment. The frameless bezel removes the boundary between reality and virtuality, featuring an elegant and glossy finish. Sleek and seamless touch function key provides a simple and intuitive touch experience, making screen adjustment easy and fast. ViewSonic VX70 series SuperClear IPS monitors deliver an extraordinary level of visual clarity. IPS (in-plane switching) technology eliminates image distortion and color shifting to ensure true, lifelike color from virtually any viewing angle. With built-in sRGB color correction technology, the series can reproduce 100% sRGB rich color for color performance matching original input sources without decreasing or leveraging color quality. 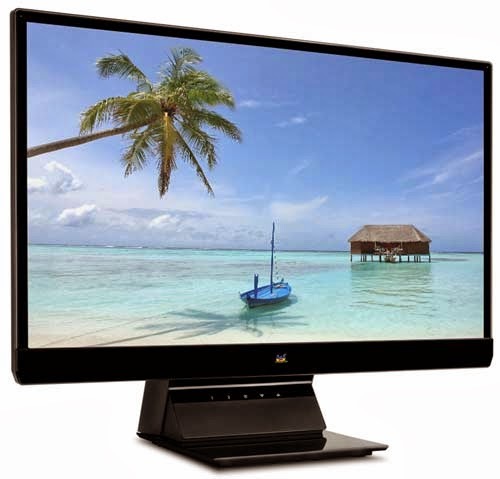 Industry-leading SuperClear® technology delivers 178-degrees of vertical and horizontal viewing angles. Brightness levels are consistent across all viewing angles with no distortion or decay. Moreover, ViewSonic improves response time for entertainment enthusiasts and delivers smooth images without streaking, blurring or ghosting. Brilliant pixel quality of the Full HD 1080p panel supports all computer applications, graphics, games, and HD home entertainment needs to deliver natural and vivid imagery. With impressive 30,000,000:1 MEGA Dynamic Contrast Ratio, the series is capable of automatically detecting the brightness and darkness of an image and adjusts the LED backlight accordingly. It maximizes grayscale and color ranges and boosts contrast ratio to an ultrahigh 30,000,000:1, resulting in rich, vibrant visuals. HDMI Interface on the VX2370Smh-LED/VX2270Smh-LED allows flawless streaming with a variety of media devices, including computers, set-top boxes, Blu-ray disc players, HD digital cameras, gaming consoles, and many others with HDMI. Base mounted speakers with SRS Premium Sound® delivers audiophile quality sound for anyone seeking supreme audio performance and gaming experience. The VX70 series enables image/video streaming between life, work, and entertainment for the ultimate true high definition experience.